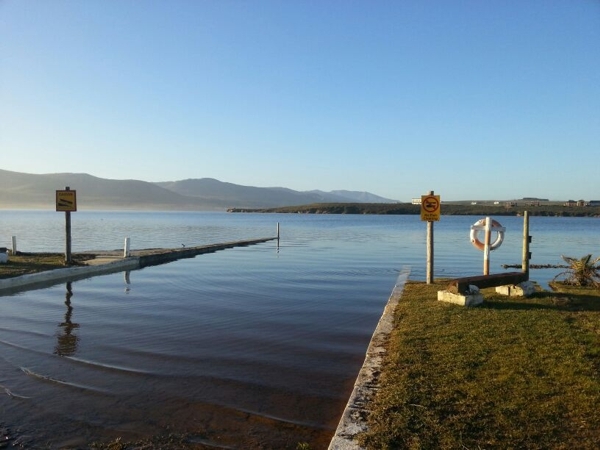 Fisherhaven is a quiet little town along the garden route just before Onrus and Hermanus. It has a lagoon, yacht club, public slipway and playground. Traditionally a holiday area it has in past years seen an increase in younger families and retirees taking up residence to enjoy the quality of life. There are still many plots and properties for sale in this hidden retreat by the sea and many people choose to live here and commute to Hermanus or Somerset West. There is an abundance of birdlife, indigenous fauna and flora for all nature lovers out there. The well-known wild horses of Fisherhaven have split into two groups and can often be seen roaming free in the neighbourhood and enjoying the wild fig which grows in abundance throughout the village. The area is still largely undeveloped with only a few tar roads and no street lights. On a clear night the stars are brighter than in any city. At night the owls and bats can be seen hunting insects and field mice. Fisherhaven is one of the last remaining coastal areas this close to Cape Town where property can be obtained at a reasonable price. Fisherhaven is a popular family holiday destination. Many water sports are enjoyed on the lagoon including waterskiing, power boating, wakeboarding, kiteboarding, windsurfing and sailing. It’s also a great place to do some fishing from your boat or canoe or just to enjoy a breathtaking country sunset. A new cycle trail was recently opened by Euodia Cycles. Various distances have been marked out and cater for all levels of rider up to and exceeding 60km. Features on the route include forest tunnels, wooden bridge river crossings, a rushing waterfall, a dam and consistent single-track to be enjoyed as breathtaking downhills or steep technical ascents. Day passes can be obtained at Euodia Cycles in the Wine Village 028 316 2119 and the route starts from the cycle shop (ample free parking). All photos copyright P Jonker. These and many others are available in high resolution. Please do ask permission to use photos from this site.